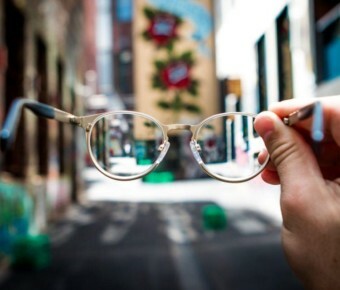 Companies vowing to narrow the gap will need to demonstrate changes, say experts. It was billed as the biggest legislative game-changer for working women since the Equal Pay Act made it illegal to pay people of different sexes differently for the same job in 1970. And for once, the hype may not have been overstated. Groundbreaking legislation that forced companies to reveal their gender pay gaps in 2018 for the first time has had an immediate and wide-ranging effect, but companies are likely to come under increased pressure to narrow the gap in 2019, according to data and experts. Figures from the Confederation of British Industry’s (CBI) employment trends survey show 93% of businesses are taking action to close the gender pay gap and increase diversity in their workforces, compared with 62% who were asked a similar question in 2017. 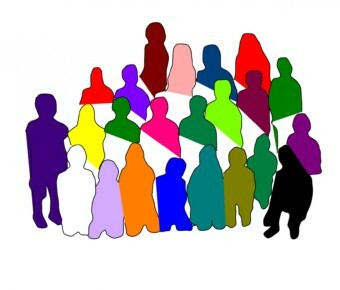 Companies increasingly appear to recognise the business case for building a diverse workforce, with 60% saying it helps attract and retain staff, while half said it increased skills in the workforce. Savvy job candidates are putting more pressure on companies to show they are pushing diversity and gender equality – with two-thirds of women taking a company’s gender pay gap into consideration, according to research from the Equality and Human Rights Commission. But businesses are also facing a real skillset problem, said Matthew Percival, the head of employment at the CBI. “There is a longer-term problem related to demographics, where businesses need to work hard to broaden their appeal or it will be increasingly difficult to attract the best talent from a diverse workforce,” he said. The report, which had 250 respondents employing a total of 1 million people, found half of businesses were putting a greater emphasis on gender diversity at all levels of the company, but only a third were placing a greater focus on gender diversity in their leadership. Last year, research showed there were more people called David or Steve leading FTSE 100 companies than there were women or people from ethnic minorities. There were five minority ethnic and seven female chief executives of FTSE 100 companies. Nine bosses were named David and four were called Steve. In April, the requirements revealed almost eight in 10 companies and public sector bodies paid men more than women. The data showed women were being paid a median hourly rate that, on average, was 9.7% less than that of their male colleagues. 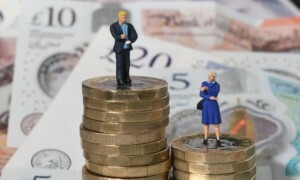 The gender pay gap expert Helene Reardon-Bond, a former head of gender and equality at the government equalities office (GEO), agreed that executives were coming under increasing pressure both from employees and competitors to demonstrate they were closing their gender pay gaps. Figures due to be published by April 2019 are likely to be closely scrutinised for shifts in either direction. “Business leaders are competitive – they don’t want the reputational risk of not publishing, and not being seen to improve,” she said. About 1,500 large British companies broke the law by failing to report their gender pay gap in time, but 10,000 employers – 100% of those within the scope of the new law – reported within 10 weeks of the deadline. A study from the Institute for Public Policy Research found 81% of large employers had considered or taken steps to close the gender pay gap as a result of the regulations. It also found that despite initial reservations, four out of five employers were supportive of the gender pay gap reporting rules. Following the deadline, the GEO published actions that outlined evidence-based suggestions to companies wanting to close their gender pay gaps, including having multiple women in shortlists for recruitment and promotions. Joe Dromey, an IPPR senior research fellow, warned that the increased transparency achieved by the reporting rules alone would not tackle pay gaps – government and employers must address the structural reasons behind pay inequalities. “There are a lot of companies who are just complying with the legislation, but many more are looking at what they can do about the issue,” said Dromey, who added that about one in three companies provided an “additional narrative” to their figures. Many of these were at pains to stress that the company did not have an equal pay problem, and that the reason for the gender pay gap lay in the fact that top earners were dominated by men, and the lowest earners were women. “Just these slightly formulaic statements about not having an equal pay problem, those will wear thin if you have a year-on-year significant gender pay gap which is not narrowing,” Dromey said. One challenge facing employers is the fact that some measures designed to lower the gender pay gap in the long term could increase the gap in the short term – such as hiring more young women. According to the CBI, 24% report they are placing a greater focus on improving gender diversity in entry-level recruitment.